As the end of the calendar year has passed, a numerical image associated with the various wars (on migrants, terrorism, and drugs) waged by the federal government in the Southwest borderlands has emerged. The ugly picture is surely to become even more dreadful in a context of climate change—that is, unless there is a radical change in the nature of the U.S.-Mexico boundary and a sharp decrease in the socio-economic inequities that the border reflects and helps to reproduce. According to U.S. Customs and Border Protection (CBP), 2011 saw the seizure of 8,764 pounds of cocaine and more than 2.5 million pounds of marijuana along the U.S.-Mexico boundary. (Given the obvious vitality of the Mexican cartels, these staggering figures also indicate that smugglers are successfully transporting large amounts across the international divide.) 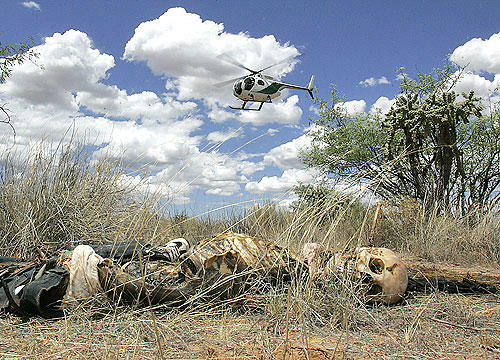 Meanwhile, the Border Patrol reports that 353 unauthorized migrant corpses were recovered in the borderlands in 2011. Migrant remains, Arizona, 2005. Credit: Robert Gauthier, Los Angeles Times. What is striking about 2011’s grim toll vis-à-vis previous years is that it remains high (according to the Border Patrol, there were 390 bodies recovered in Fiscal Year 2010) despite a significant drop in the number of unauthorized crossings. This suggests that the borderlands and unauthorized migration are becoming more deadly. What’s different is that the geography of death is more evenly distributed: whereas 67% of the bodies were recovered in Arizona in 2010, only 54% were found in the state in 2011, meaning that migrants are diversifying their routes in their effort to circumvent the ever-widening policing web. For writer William deBuys, such an outcome is illustrative of the structural violence of the U.S.-Mexico divide. 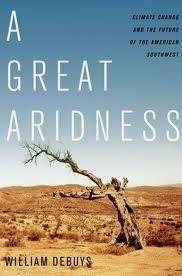 It is a violence that is likely to increase, suggests deBuys in his book, A Great Aridness: Climate Change and the Future of the U.S. Southwest. 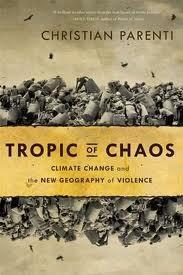 This is because climate change and its associated problems—ranging from increased drought to dying forests—“prompt the movement of large numbers of people all over the world," deBuys writes, given that “[w]hen the conditions that sustain human occupation of a place change, people move.” They move from sites of insecurity to those of relative comfort. 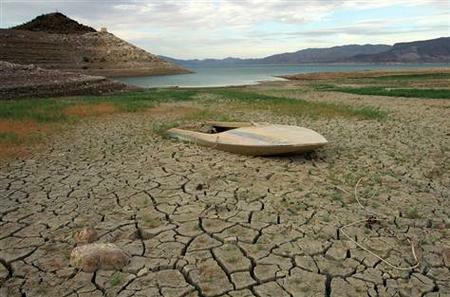 Northern Mexico and the U.S. Southwest are especially vulnerable to the destabilizing effects of climate change. With the U.S.-Mexico boundary marking what deBuys characterizes as “one of the steepest sets of social and economic gradients on the planet: material wealth and a white-dominated society on one side, poverty and a brown-skinned world on the other,” climate-related migration across the divide will surely move northward. Like author Christian Parenti in his book, Tropic of Chaos: Climate Change and the New Geography of Violence, d Lake Mead, California-Nevada border. Credit: Ethan Miller/Getty ImageseBuys bases his analysis in part on a 2010 study published in the Proceedings of the National Academy of Sciences of the United States. The co-authored article finds that migration from Mexico to the United States will increase 2% for every 10% of climate-induced reduction in crop yields. Depending on how much warming takes place and the adaptive measures taken in response, the study foresees an additional 1.4-6.7 million adult Mexicans migrating to the United States by 2080 or so due to declining agricultural output alone. Certainly there are many reasons to be concerned about climate change and the degradation of the biosphere more broadly, but the wellbeing of Mexico, Central America, and the U.S. Southwest is certainly one of them. In this regard, global warming presents a profound challenge and opportunity to rethink the U.S.-Mexico borderlands and our ties to all who call it home or simply seek safe, dignified passage within. For more from the Border Wars blog, visit nacla.org/blog/border-wars. And now you can follow it on twitter @NACLABorderWars. See also "The Border: Funneling Migrants to Their Doom," by Óscar Martínez, in the September/October 2011 NACLA Report, the May/June 2011 NACLA Report, Mexico's Drug Crisis; and the May/June 2007 NACLA Report, Of Migrants & Minutemen.